The maestro's hands move like demons over the fretboard of his red Gibson guitar. Johnny Fean, Horslips soul survivor, plays with a blistering fury unheard since Rory; his searing vibrato like a rocket fuelled Uilleann pipe weaving molten melodies of pure gold, underpinned by the Motownfluidity of Ireland's greatest bass player, Stephen Travers. The Ready Micks, Celtic Jazz Techno for Y2K, very Holloway Boulevard indeed. But there used to be a time when Irish music meant shaggy jumpers and unruly facial hair. Musically, Young Ireland didn't exist. In October 1970, Horslips changed all that. Mandolins with attitude and eye make-up, the courageous vision of Eamon Carr, Barry Devlin, Jim Lockhart, Johnny Fean and Charles O'Connor became the wave, now three decades a-rollin’, that embraces everything from the Corrs to Riverdance, from Sinead O’Connor to the Afro-Celts. Drawing inspiration from Irish mythology and Jimi Hendrix in equal measure, Horslips were fiery and passionate, wildly imaginative. Yet with twelve albums under their belt, a huge worldwide following and an album that sold a quarter of a million copies, Horslips, in true Rock'n'Roll fashion, split up. Ten years to the day after they formed. Nothing if not theatrical. How did it all go so wrong? I talked to Johnny and looked back in wonder. What were some of those elements? You invented the Celtic Rock genre, didn't you? Then I'll do it for you mate. Johnny Fean, inventor of Celtic Rock. The country should declare you a National Treasure and put up a statue in O'Connell Street. 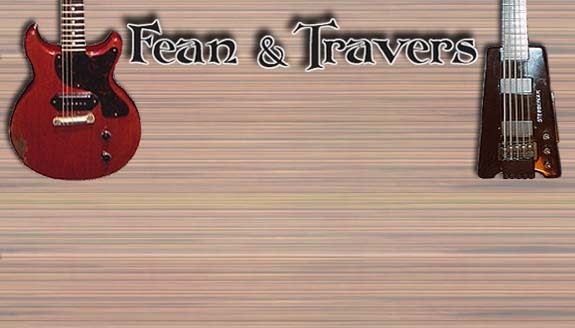 Like the killer riff on 'Dearg Doom' from Horslips' second album, 'The Táin'? 'The Táin' was a huge undertaking. Based on the Celtic myth of the ancient war between Ulster and Connaught, the dense weave of song and story sounds so natural, like it happened either by accident or with an incredible amount of planning. Not enough to satisfy their record company RCA, who dropped the band after their next album, 'The Unfortunate Cup Of Tea'. Ever resourceful, Horslips' self-financed the following two albums, 'Drive The Cold Winter Away' and 'Horslips Live'. It almost bankrupted them, but help was at hand in the form of Elton John's label DJM. They needed it; their meisterwerk was about to be unveiled. For two years they'd been toiling like monks to write 'The Book Of Invasions', an epic tale of the very origins of the Irish race. 'Book' far eclipses 'The Táin' in breadth and vision. How did the band feel when it was finally released? But trouble with a capital P lay ahead. Johnny explains. Those outside influences started to pull the band in the different directions, reflected in the songwriting on the follow-up album, 'Aliens'. 'The Man Who Built America' sold a quarter of a million copies, but the band were imploding. Horslips came to the end of the road with a tremendous live album recorded in Belfast. And that's why people will never forget Horslips. They rewrote the book of Irish music, gave it a whole new audience and formed the blueprint for all contemporary Irish music to follow. Some achievement.